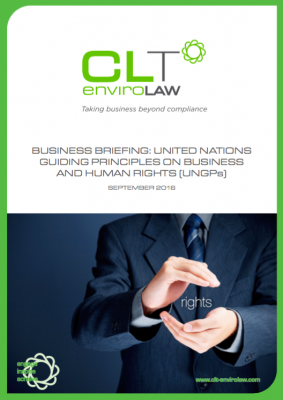 The United Nations Guiding Principles on Business and Human Rights (UNGPs) have become the global authoritative standard for preventing and addressing the risk of adverse human rights impacts linked to business activity. The UNGPs build on existing legal standards and practices. They apply to all internationally recognised human rights. Although not legally binding, the UNGPs formulate the human rights responsibilities of businesses and governments. The UNGPs apply to all States and to all business enterprises (covering all sectors), regardless of their size, sector, location, ownership and structure. They are a game changer. This guide sets out how the UNGPs apply to businesses and the steps they should be taking to implement them into business practices.